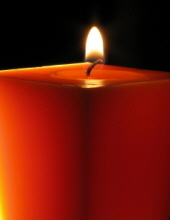 Kathleen Ruth Kelly, 98, of Fort Myers, Florida died on Sunday, April 7, 2019 at home. Mrs. Kelly was born in Lowell, Massachusetts and had resided in Brooklyn, N.Y. and Freehold before moving to Florida. She was a communicant of the Co-Cathedral of St. Robert Bellarmine, Freehold Township. She was predeceased by her husband, Eugene Joseph Kelly, in 1997 and a daughter, Kathleen Kelly. Surviving are a son, John Kelly and daughter-in-law, Debra Kelly; three daughters, Carol Prise, Coleen Kelly, and June Kelly; eight grandchildren; and six great grandchildren. The viewing will be held at the Higgins Memorial Home, 20 Center Street, Freehold on Monday, April 15, 2019 from 2 to 4 and 7 to 9 p.m. The Funeral Liturgy will be celebrated at the Co-Cathedral of St. Robert Bellarmine, 61 Georgia Road, Freehold on Tuesday, April 16, at 10 a.m. The interment will be held at Long Island National Cemetery, Farmingdale, N.Y.
To send flowers or a remembrance gift to the family of Kathleen Ruth Kelly, please visit our Tribute Store. "Email Address" would like to share the life celebration of Kathleen Ruth Kelly. Click on the "link" to go to share a favorite memory or leave a condolence message for the family.